The Mormon Pioneer Trail to Utah’s Valley of the Great Salt Lake began in Nauvoo, and remnants of the original Mormon settlement have been preserved in a living history complex called Historic Nauvoo, a collection of original and reconstructed homes and shops staffed by Mormon missionaries from various states. 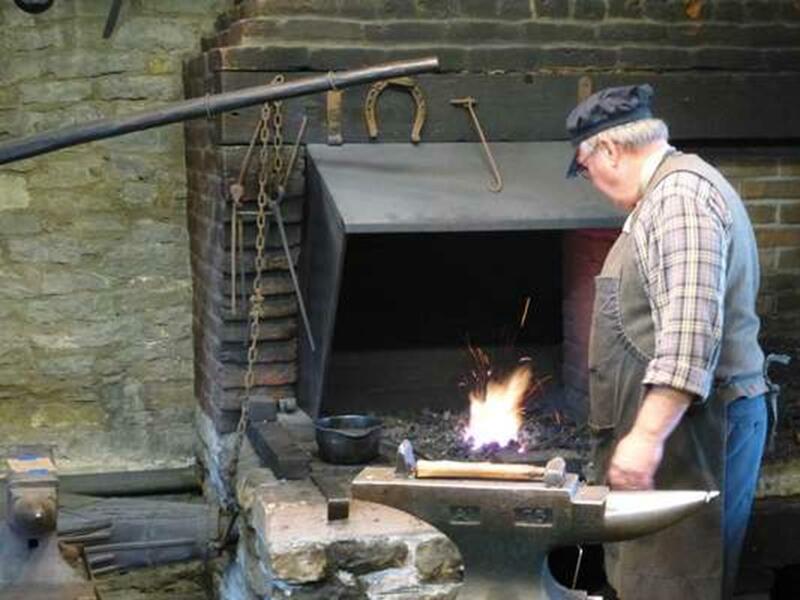 Blacksmithing, baking, brick-making and other pioneer crafts are demonstrated. Admission to the 20-some buildings, located across a tract of riverfront land framed by split-rail fences and sprinkled with memorials, is free. The Mormons and their leader, Prophet Joseph Smith, who had established The Church of Jesus Christ of Latter-day Saints in 1830 in Fayette, N.Y., settled Nauvoo in 1839. The town flourished until 1846, when Brigham Young led church members to Utah, leaving behind violent anti-Mormonism. (Smith and his brother Hyrum were prisoners when killed by a mob that broke into the jail in nearby Carthage, where the church maintains the restored jail as a visitor attraction.) The Brigham Young Home is one of the Historic Nauvoo buildings open for tours. The Joseph Smith Historic Site, adjacent to Historic Nauvoo, has its own visitor center and offers walking tours ($3 pp.) of Smith’s homes, shops and gravesite. 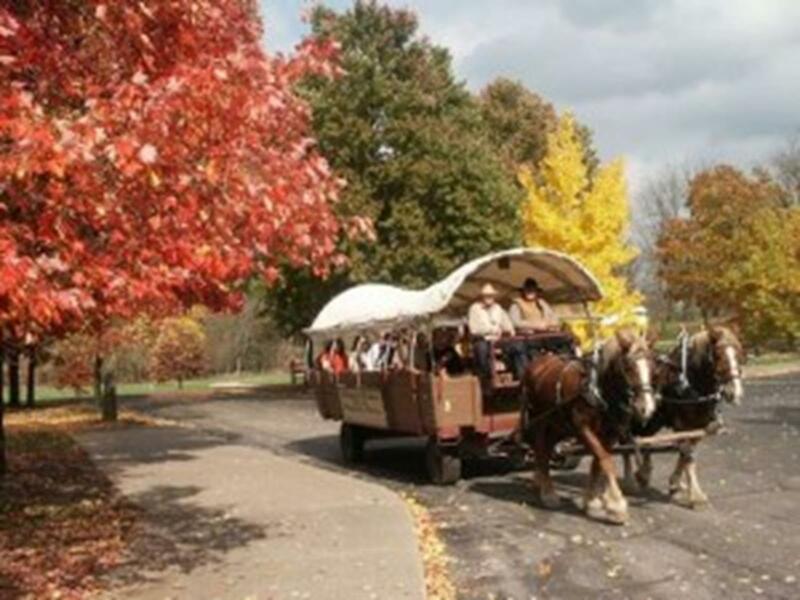 A good way to tour Historic Nauvoo is a narrated ride aboard a horse-drawn Conestoga wagon. Handcart treks let visitors experience what early Saints endured as they pulled their handcarts piled with provisions for over a thousand miles on the westward trek. Also available are carriage and ox wagon rides. All rides are free. Rendezvous in Old Nauvoo, a musical comedy and drama of life in Old Nauvoo, is held evenings in Cultural Hall. Another nighttime show, Nauvoo Pageant, pays tribute to Joseph Smith and celebrates the legacy of the early Latter-day Saints through words, song and dance. Presented from early July to early August, the outdoor pageant is complemented by other special festivities. Shows, rides and tours are not scheduled on Sundays. 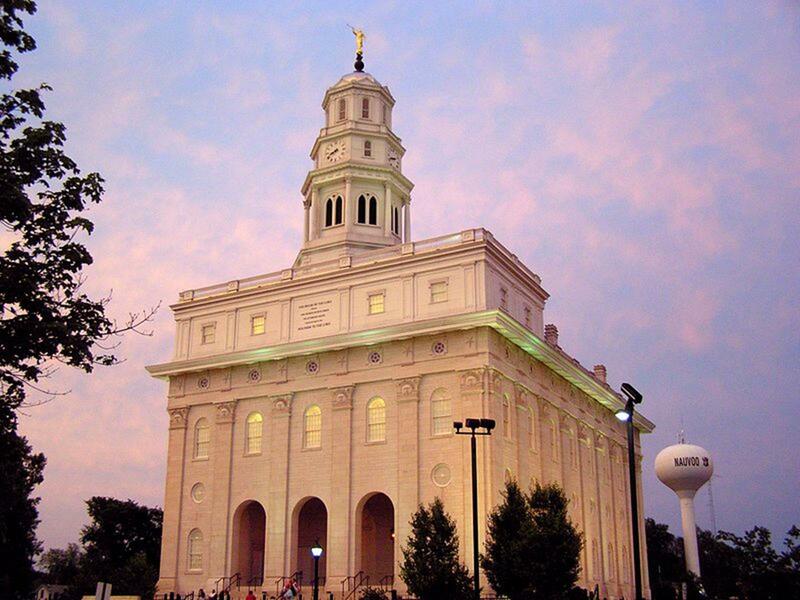 In town, the Nauvoo Temple, an imposing limestone building dedicated in 2002 on the site of the original Mormon temple (burned by vandals in 1848), is not open to visitors, but the Temple Arrival Center across the street has a free 14-minute movie explaining the purpose of temples (not the same as meetinghouses used for Sunday worship services and weekday activities) and showing many of the beautiful rooms. The temple’s hilltop grounds, dominated by a statue of Joseph and Hyrum Smith on horseback, afford stunning river panoramas. The adjacent business district on Mulholland Street has small shops and restaurants. Hotel Nauvoo is famed for its dinner buffet. Many of the shops sell religious items, including The Book of Mormon, books on Mormon history and mounted pieces of limestone from excavations of the first Nauvoo temple. 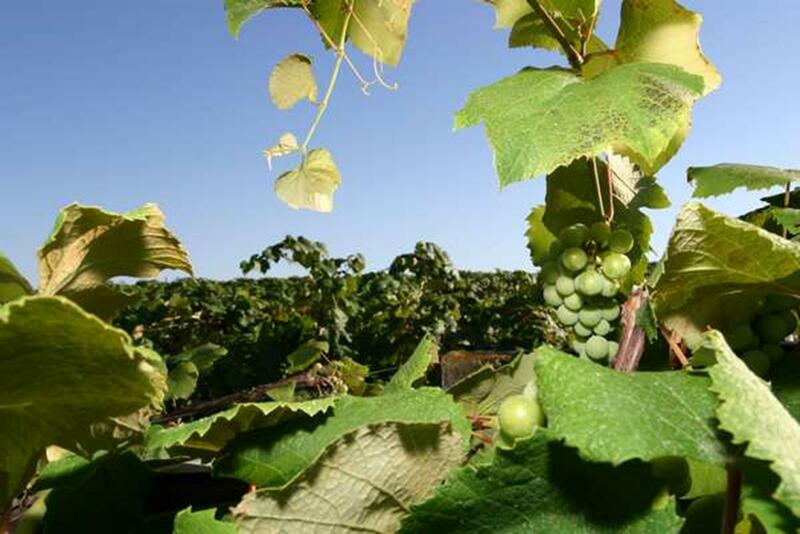 Tourists in Nauvoo also might consider a tour and tasting at Baxter’s Vineyards & Winery. Founded in 1857, Illinois’ oldest winery is a fifth-generation family enterprise. In addition to wine, Carol’s Pies, cheeses, jams and other foods are sold in the gift shop. Pie flavors range from coconut buttermilk and raspberry cream cheese swirl to banana cream and lemon meringue. The Nauvoo Grape Festival, held every Labor Day weekend, features wine tasting, a car show, a historical pageant, entertainment, arts and crafts, a flea market, mud volleyball and tractor pulls. 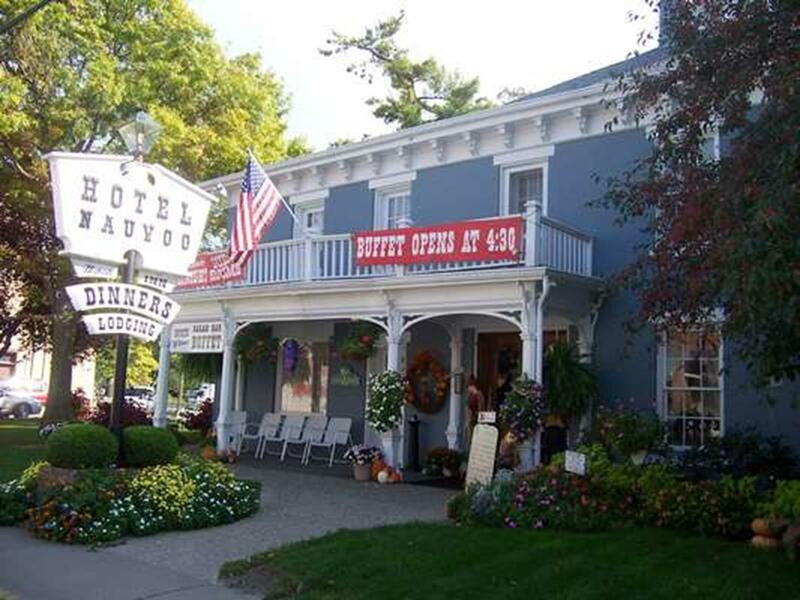 Besides Hotel Nauvoo, accommodations in Nauvoo include a motel, inns and B&Bs. There are tent and RV campsites at Nauvoo State Park, within walking distance of Historic Nauvoo. Nauvoo Log Cabins is a collection of authentic pioneer cabins transplanted from various locations in the West and reassembled, with modern amenities, in Nauvoo. Hand-crafted new cabins are available as well. The rustic units, some with fully equipped kitchens, sleep up to 13. On site is a museum of Mormon history. Zions Mercantile, just steps from the temple, is a general store that hosts church and other groups, offering hotel rooms, meeting areas and food plans. Quincy, another historic Mississippi River city, lies about 50 minutes south of Nauvoo via the Great River Road. Tour homes include the Quincy Museum, which occupies the Newcomb-Stillwell Mansion, and Villa Kathrine, a Mediterranean-style castle that serves as Quincy’s tourist information center. Downriver is Hannibal, Mo. and its Mark Twain Boyhood Home & Museum. For information, contact the Nauvoo Tourism Office, www.beautifulnauvoo.com, or Historic Nauvoo, www.historicnauvoo.net.